Our friend and Trustee, Dr Roger Crabtree, suffered a stroke whilst sailing his yacht Good Hope alone in Plymouth Sound on 9 October 2018 and sadly died in hospital two days later. 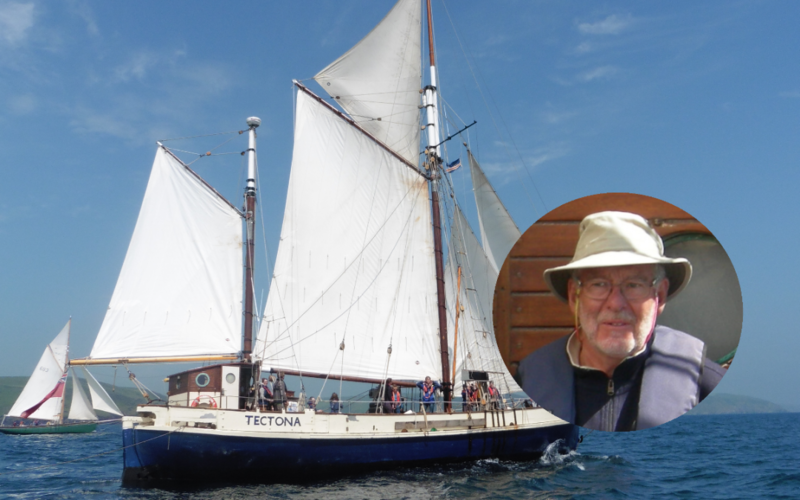 We first met Roger when we took over Cremyll Sailing, who operated another boat owned by Roger, Tectona, which he used a few weeks a year to support his dedicated work helping recovering addicts rebuild their lives. We helped him to carry on his good work and in turn Roger kindly let The Island Trust use her for our own work with disadvantaged young people, all on very generous terms. He subsequently became a Trustee and worked tirelessly to improve the lot of all beneficiaries and staff. He had been a senior and respected GP, and both before and after his retirement he was a leader in offering pastoral care and support to GPs. He was a founder of The Somerset Safe House, and countless GPs have been grateful for his kind, gentle and wise guidance. Anyone who turned to Roger for help got it in full measure as his mission was to help others. A true gentleman who will be sorely missed by all who crossed his path, but particularly his wife Barbara who was a partner in their good deeds, two wonderful people.